BlueSky: Your essential business aviation news. 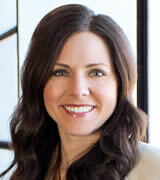 Ashley Bowen Cook, vice president at Greteman Group, a marketing communications agency based in Wichita, the Air Capital. he buzz in Europe surrounding recent single-engine turboprop (SETP) charter authorization has us doing a happy dance, too. These economic, brawny aircraft get the job done with little fuss. Getting in and out of small airports and airfields. Delivering right-sized performance for a host of uses. We love new, clean-sheet, built-for-business models such as the Cessna Denali and Piper M600 as well as legendary, super-efficient Grand Caravans and Mooney aircraft. Full confession. We became Mooniacs early in our career and just can’t get over our love affair with this Wichita-born, strong-as-steel heartthrob. The SETP category, though, has many aircraft to covet. The Pilatus PC-12, manufactured in Switzerland, has become the world’s best-selling, pressurized SETP. 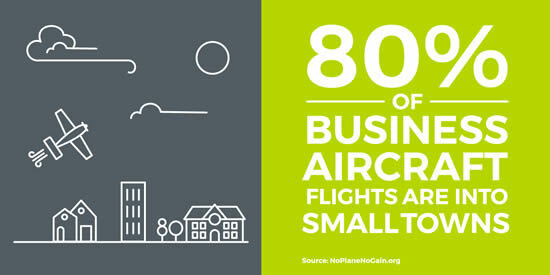 Its development was announced at the 1989 NBAA convention, promising to fill a void in the market. Its economy, high value retention, versatility and reliability have helped do just that. We’ve watched aviation seize upon the business uses of Quest Aircraft’s Kodiak, launched in 2007 for primarily humanitarian missions. This highly capable, versatile aircraft has done everything from deliver medical supplies in an earthquake’s aftermath to providing on-demand charter for entrepreneurs wanting an aerial SUV. New engines on legacy turboprops add power for improved takeoff and climb, cruise speed, payload and hot-and-high performance. Similarly, the addition of glass cockpits and composite materials keep upping the game. Safety-focused Cirrus Aircraft continue to be the only SETPs with a parachute system as standard equipment. SETP aircraft fill a unique role not efficiently served by helicopters or business jets. International owners are changing the game, too, as they capture new markets. (Setouchi Holdings of Japan bought the Pacific Northwest-based Quest in 2015; Meijing Group of China purchased Texas Hill Country-based Mooney in 2013; and the Chinese government became owners of Minnesota-based Cirrus Aircraft in 2011). This summer’s 2017 EAA AirVenture fly-in included 60 Daher TBM aircraft, with eight of those from Europe and one from Brazil. It’s impressive that these TBMs made the long flight to Wittman Field in Oshkosh, Wisconsin, but it’s not surprising. The company’s history includes the first Mediterranean air crossing back in 1913. TBM certified the world’s first fully pressurized, SETP aircraft in 1990, the TBM 700A. The company’s continued to evolve and innovate. The TBM 930 is the latest version of the world’s fastest, certified SETP. For a week, the TBMs were part of 17,220 aircraft operations that made Wittman the world’s busiest airport - averaging more than 120 takeoffs and landings an hour. In short, we’re fans of these multiuse workhorses. And, over the years, we’ve learned a thing or two about marketing them. They have their own niche and their own tribe. Tailor your outreach accordingly. SETP owners tend to be loyal, enthusiastic members of the brand family. They want to know every detail. To have you talk to them often. Tell them what you’ve done, what you’re doing and what you plan to do. Recognize, respect and reward their loyalty. Ask for their input, their referrals. And thank them. Profusely. These distinctive aircraft attract rugged individuals who want to be approached individually. Face-to-face works best: personal visits, tradeshows, special events. 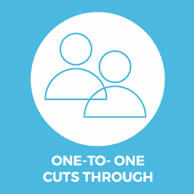 Customized direct mail and personalized email connect, too. Consider the customer’s age, gender, industry/business, job title and geographic location. Think about news hooks and points of connection. 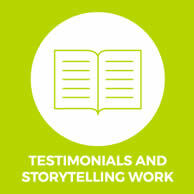 Use real-life case studies and compelling testimonials in your marketing. High-profile names capture attention, but it’s more important to have an all-out evangelist extolling the can’t-live-without nature of the plane. Someone who tells stories that resonate and stick. Talk about how the aircraft makes all the difference to the business whether that’s hauling cargo or passengers. Emphasize the human element - those who count on SETP for their livelihoods and possibly their lives. Current and prospective customers love looking at these aircraft. Make them the star. Put them in attention-grabbing scenarios - flying directly at you, coming in for a landing on a remote strip, cruising over gorgeous scenery. 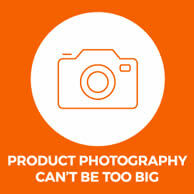 Don’t skimp out on getting the best photography you can afford. It will pay dividends as it gets repurposed in your advertising, marketing and public relations. 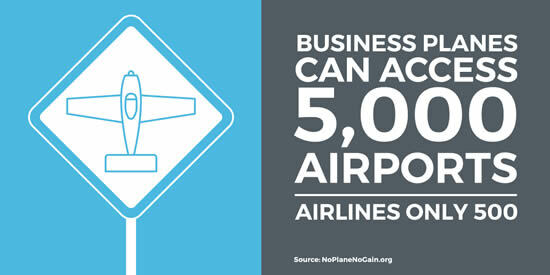 When marketing SETP aircraft, everything needs to build connection. You’re talking to enthusiasts and owner operators as well as the financial folks making the purchase decision. Yes, you build an analytical rationale for SETP (ownership costs, performance advantages, safety, warranties, service network. You also make an emotional case for your brand choice. I’ve always loved Al Mooney’s quote: “Make it strong. Make it simple. Make it fast.” That sort of direct, powerful language speaks to people who want no-nonsense aircraft that do the job yet give pilots and passengers a fantastic flying experience. Some decisions don’t come down to dollars and cents. They’re made with the heart and gut. Next week, I’ll be in Vegas at NBAA-BACE with other members of our team. Maybe we’ll see you there. We can chat about the SETPs on display - and how they’re presented.